Jean-Claude Juncker, the newly appointed EC President, made a name for himself late last year when it was alleged the Luxembourg government had gifted favourable tax conditions to major corporate names under his reign as PM. The findings, published by the International Consortium of Investigative Journalists (ICIJ), threw Juncker’s credibility as EC head into disrepute and prompted a no-confidence vote less than a month after his appointment. 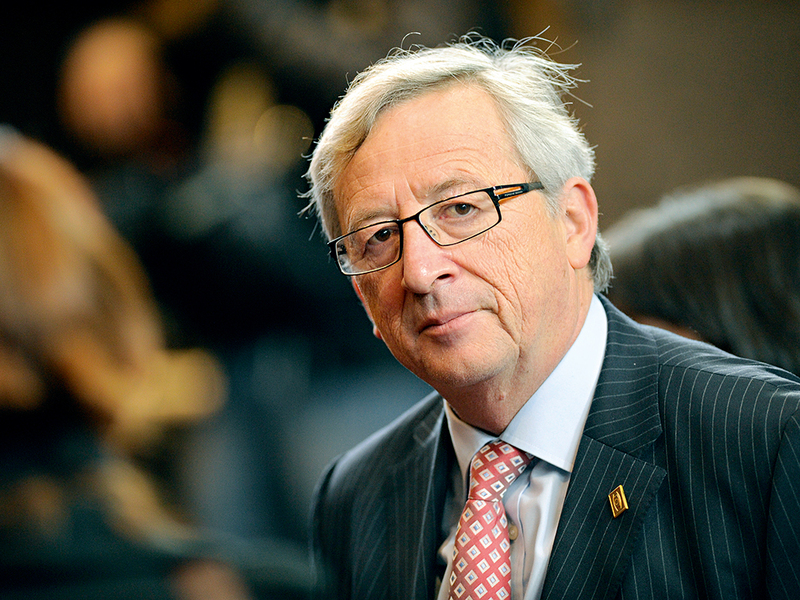 Speaking to the French daily Libération in December, Juncker admitted he had been “weakened” by the affair, in that the allegations suggested “I would have participated in schemes which infringe elementary rules of ethics and morality”. However, the question of whether Juncker is fit to lead the EC is now a distant concern, and the more poignant question is how the scandal might speed up action on tax avoidance. The ICIJ findings showed over 350 companies had funnelled profits through Luxembourg’s loose-touch tax system and, in the process of doing so, reduced their tax bills by billions of dollars. What’s more, the document showed some multinationals were subject to a tax rate of less than one percent. The hundreds of secret deals brokered between company and state have left EC officials with no option but to ramp up the rhetoric on tax fraud, evasion and avoidance. The revelations came at an inopportune – or opportune – time: shortly after EU officials had pledged to win back the trust of citizens and fight the morally repugnant, though perfectly legal, practice of tax avoidance. Although the organisation has pledged to fight the issue for some time now, it’s only in recent years tax avoidance has topped its list of priorities. EU estimates show the bloc has lost approximately €1trn to tax evasion and avoidance, and that the mechanisms in place to effectively handle cross-border tax issues are not sufficient to claim what is rightfully owed. Only through greater collaboration and information sharing can the region crack down on the issue, and critics are looking to the EC for signs of action on the issue. Juncker himself has been a key figure in leading the charge to fight tax avoidance, having recently drafted a new EU directive on the free exchange of information between member states and having supported tax harmonisation since the early 1990s. “This commission will fight tax evasion and tax avoidance”, he said on his appointment. “This is not just words. This is very much the intention.” However, with the President’s credibility spoiled by claims companies received special tax treatment on his watch, how much is meant by this statement remains unclear. An important milestone was reached in January, when the EC alleged Luxembourg’s favourable tax arrangements with Amazon constituted state aid, on the grounds the deal gave the company an unfair advantage over its competitors – claims the Ministère des Finances promptly dismissed. However, the probe into the Amazon arrangements represents only a single facet of a much wider investigation, and the likes of Disney, Microsoft and Koch Industries have all been dragged into the mire. With the case likely to live on far into the future, what’s more important now is that the EU and Juncker use the opportunity to kick-start reforms before the public outcry reaches deafening levels. Speaking to reporters before entering the European Court of Justice in December, Juncker said: “For tax harmonisation, the coordination and bringing together of tax policies is an absolute necessity. I will do it.” And although the scandal, affectionately termed ‘Luxleaks’, has shed light on the extent to which companies have exploited not just Luxembourg but also the tax systems of Ireland, the Netherlands and Belgium, there are positives to be taken from the situation. If nothing else, the affair has thrust tax avoidance onto the region’s political agenda like never before, demanding that more be done to uproot what injustices remain. The French, German and Italian finance ministers mobilised quickly in the aftermath of the scandal and sent a joint letter to EU Tax Commissioner Pierre Moscovici, suggesting the EC counter base erosion and profit shifting by multinational enterprises (BEPS). “Our citizens and our companies expect us to cope with tax avoidance and aggressive tax planning. It is our common duty to meet their expectation by ensuring that everyone pays its fair share of tax to the state where profits are generated”, said the letter. Citing a lack of tax harmonisation as the main reason for aggressive tax planning, the ministers called on officials to rethink the bloc’s Byzantine tax regime. The call for a comprehensive anti-BEPS directive before the end of 2015 echoes an often-voiced sentiment among EC officials: that harmonisation will maximise tax revenues. Insofar as member nations share a common duty to ensure everyone pays their fair share, governments, under the Commission’s guidance, are looking to both refine and make more transparent their tax dealings. Introducing a common corporate tax base is a solution to the shortfall that has been posited even by Juncker himself, and the President’s initial response to the Luxleaks scandal was that the situation was merely a product of the disconnect that exists between different member states. “This state of affairs is due to the fact that we have to deal with the outcome of different standards. If there is no tax harmonisation throughout Europe, then this is the result”, he told the press shortly after the scandal broke. Only by introducing a new global reporting standard can the EC eradicate tax evasion and fraud, alongside lifting the enduring veil of secrecy that handicaps certain member states. “We are hoping that the coming into force of this new agreement, at the very latest by 2018, will put an end to tax evasion and fraud by the use of secret bank accounts”, said a European Commission spokesperson in Brussels. The proposal, if passed, would make sharing tax information mandatory and, in doing so, make instances of avoidance and evasion easier to detect. The reports in recent months mean Juncker’s suitability for his role has come under fire, though the focus on harmonisation and greater transparency is proof that there exists a willingness to instruct change and protect against similar events in future. While the coverage of the Luxleaks scandal has been overwhelmingly negative, and in places detrimental to the EU, the circumstances could mark a turning point for the bloc and bring renewed efforts to combat tax avoidance.